There have been many stories written that uncannily predicted future events whether the author had that intent or not. 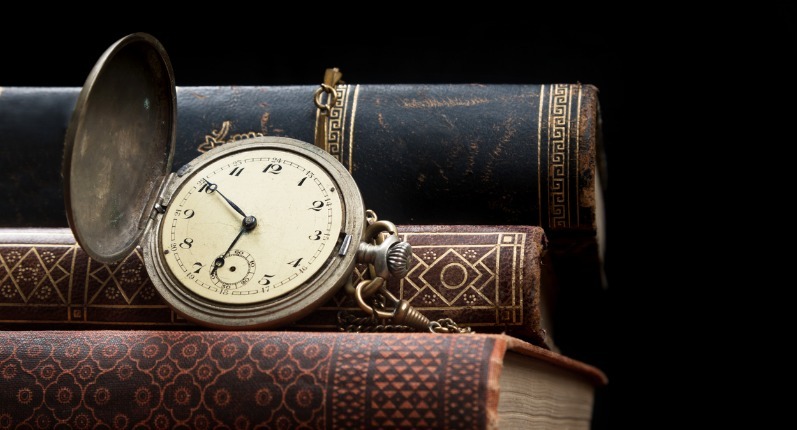 Some may argue that recent technology was invented because of ideas gleaned from these tales. Let’s take a look at some of them, and you can decide for yourself. Orwell at the BBC in 1941. 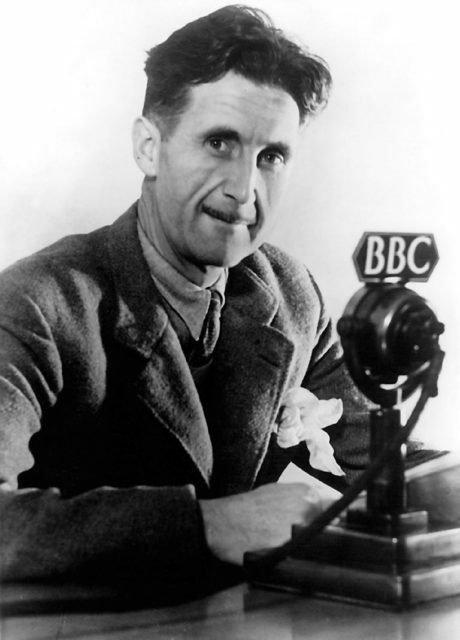 Despite having spoken on many broadcasts, no recordings of Orwell’s voice are known to survive. 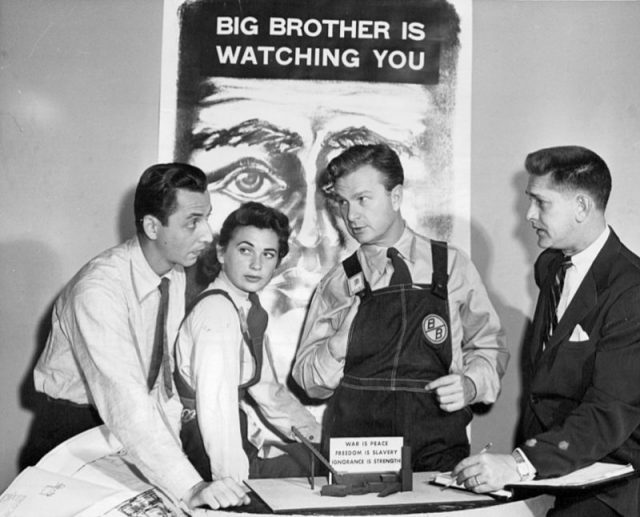 Orwell’s 1984, published in 1949, spoke of high tech surveillance and Big Brother (the Party) constantly watching and outlawing free thought and individuality. Truth is altered to fit the whims of the Party. After several betrayals, the main character, Winston, is tortured and brainwashed and willingly becomes a member of the Party that he had sought to escape. With flying drones, potential employers checking social media, and cameras and screens pretty much everywhere, Orwell may have had an idea of what was coming. 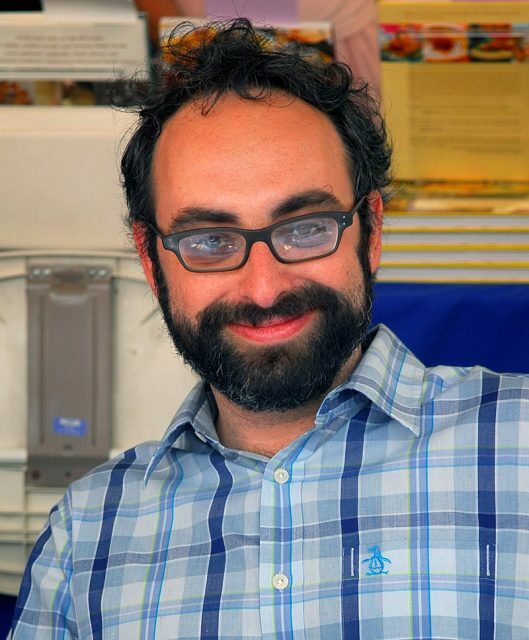 In 2010, Gary Shteyngart published Super Sad True Love Story. While not as culturally distant as other predication novels, he spoke of dating services, digital stalking, and the disappearance of paper books. Voila! 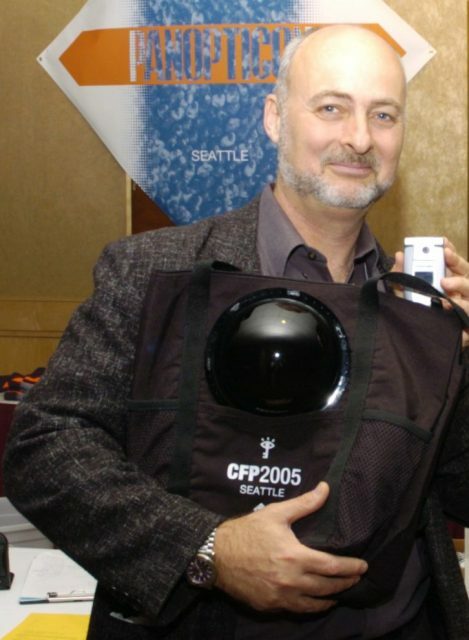 Earth, by David Brin, was published in 1990 and takes place in 2038. So far, his predictions of inexpensive digital cameras and social media have come true. He also indicated a possible meltdown of the Fukushima Nuclear Power Plant in Japan which actually happened in 2011 after a destructive earthquake. 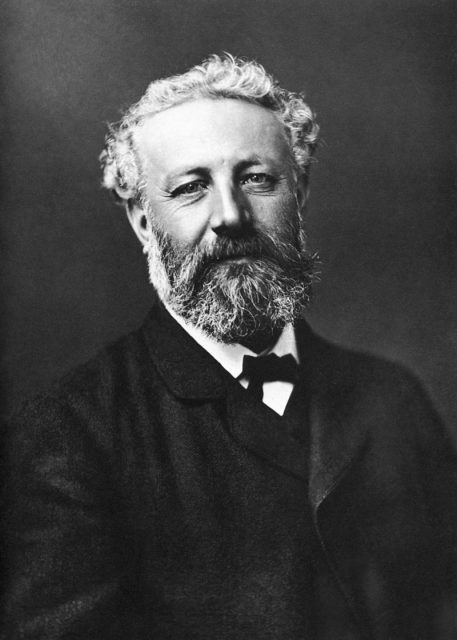 Jules Verne, a much loved French novelist, sometimes referred to as “the Father of Science Fiction”, predicted multiple events and discoveries including hydrogen as a fuel source and space travel in From the Earth to the Moon in 1867, and electric submarines in Twenty Thousand Leagues Under the Sea, in 1870. H.G. 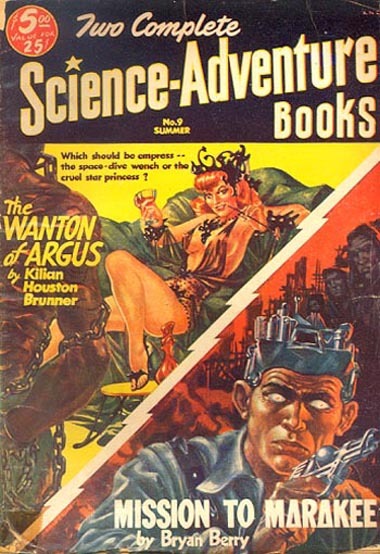 Wells, another prolific science fiction writer, predicted wireless communication in Men Like Gods, published in 1923. 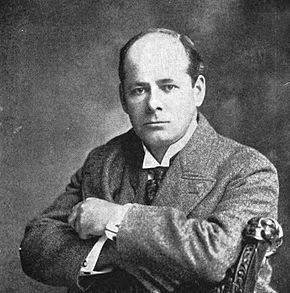 In When the Sleeper Wakes, published in 1899, Wells discusses audio books, television, and airplanes. The Island of Dr. Moreau, in 1896, touched on genetic engineering and the consequences if done carelessly. The War of the Worlds, from 1898, has Martian invaders using a type of laser device, and, in The World Set Free, from 1913, Wells predicted atomic bombs and the inevitable fallout. 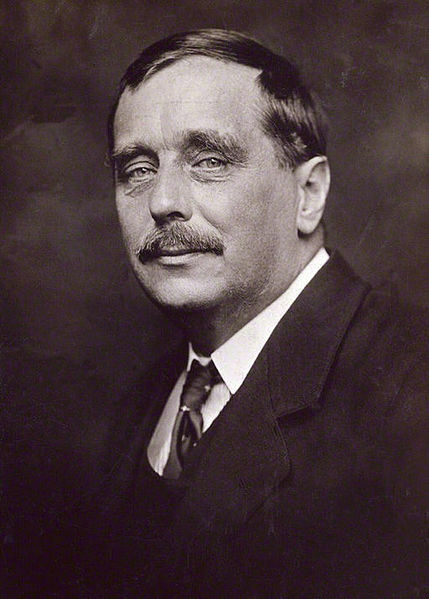 His ideas of global human rights offered in The Rights of Man, in 1940, were included in the United Nations Declaration of Rights in 1947. 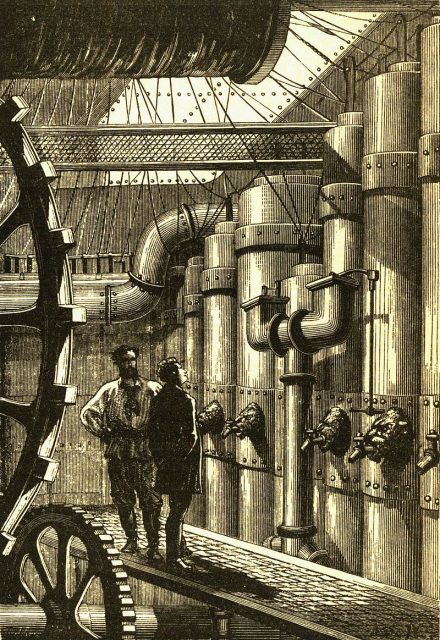 In The Wreck of the Titan or Futility, published in 1898, New York native Morgan Robertson wrote of a massive ocean liner that was considered unsinkable. In his book, the Titan sets sail in the month of April only to hit an iceberg in the Atlantic Ocean. The ship sinks with 2,987 passengers and crew. They died because there were not enough lifeboats on the ship. 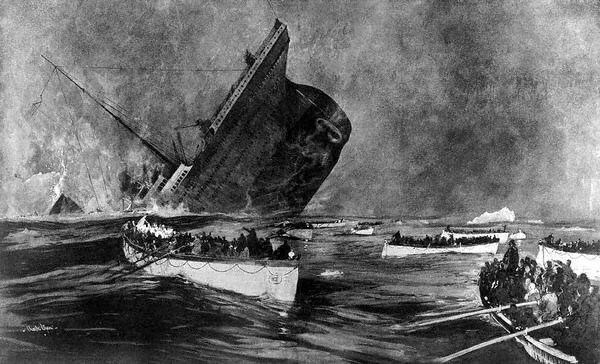 On April 14, 1912, the Titanic, the largest ocean liner to date, declared unsinkable by the White Star Line, was on its way from Southampton, England to New York when it hit an iceberg. 1,533 people died because there were not enough lifeboats. The book is now in the public domain and can be read or downloaded to a device from the Project Gutenberg website. In 1914, Robertson also published a short story, Beyond the Spectrum, in which the Japanese attack the United States Navy in Hawaii, which came true on December 7, 1941. Taking place in the year 2010, Stand on Zanzibar, a Hugo Award-winning novel by John Brunner, published in 1968, includes gay marriages, decriminalization of marijuana, global terrorism, overpopulation, the decline of cigarettes, video chat, incessant greed and consumerism, the European Union, and, oddly enough, a President of the United States named President Obomi. Pretty eerie. Did these authors, and others, have a window into the future? Were they simply able to look at current events and envisage the logical progression? 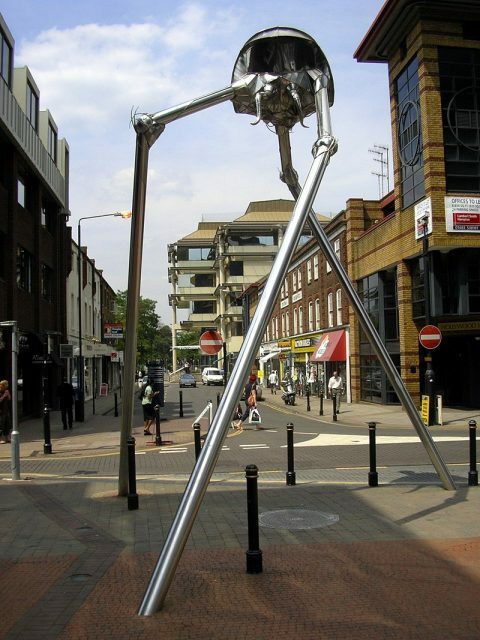 Do humans take the ideas they see in books and movies as inspiration for new inventions and social conventions? Perhaps the answer is “yes” to all.